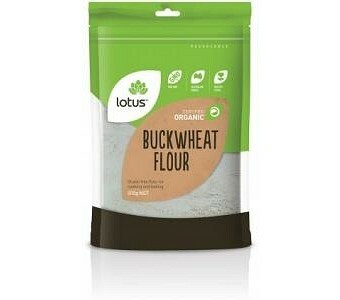 Lotus Organic Buckwheat Flour is a gluten free flour for cooking and baking. Ingredients: Milled Buckwheat Grain. No Preservatives or Additives.